Gaming leads to murder? This morning I found out about the tragic shooting at a Washington Navy Yard which claimed the lives of 13 people including the assailant’s. I got the news through a friend’s upset tweet about how the media has, like always, jumped like wolves to attack video games, the video game industry, and the gamer community. At the time, I was out of the house doing errands so I didn’t get a chance to read more into the tragedy. But as I went about my errands, driving around the city, I started thinking about the constant attacks aimed at the industry/culture/community that I’ve been a long time member of. I’m already used to the trend that the media and the general public will always blame video games for any incident similar to today’s, but I feel like I need to speak out and give my perspective on the matter because I’ve been gaming since I was 5 years old and I’m sure that I’m not the “ticking time bomb” and the “desensitized murderer” that the media and general public have made me out to be. 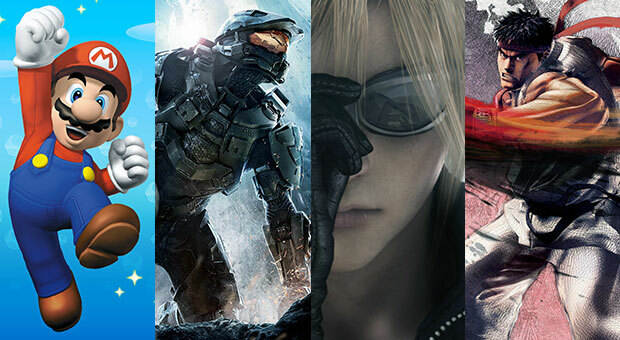 To start, I think it would be appropriate to talk about my personal history with video games. My first video game console was a Nintendo Famicom (also known as the Nintendo Entertainment System). My dad bought it for me. I remember games like Excitebike, Contra, Double Dragon, Super Mario Bros. and many others. It was my first taste of the wonderful world of video games. Since then, I’ve owned many other consoles like the SNES, Gameboy, Playstation, Playstation 2, PSP, Xbox 360, and an unknown number of reiterations/configurations of gaming PCs & laptops. I’ve played hundreds of games over the 20+ years I’ve been gaming; I’ve played casual games, sports games, fighting games, action games, role-playing games, shooters, and almost every other genre there is. And I even played a lot of Call of Duty (beware!). I think it’s safe to say that video games have been part of a large chunk of my life and still are today, especially now since I write about them. But today I’m 26, playing and writing about video games, and I’ve never so much as gotten into a fist fight. So how have I not gone on a murdering rampage? How did I get through high school without going psycho on the people who bullied me? Yes, I was bullied. Because I have a condition called Bell’s palsy. If you know about it, you can imagine the number of insults and mocking gestures that were thrown my way by both my peers and even teachers but that’s a story for another day. With my experience the media would think that I was a “powder keg waiting to explode”, that I should be put in an asylum or “get some help before it’s too late”. But today I’m 26, playing and writing about video games, and I’ve never so much as gotten into a fist fight. Why is that? Well, let me share with you one of the big reasons why. I was born into a Christian family. We went to church every Sunday, prayed before every meal, attended Bible studies, and every other common Christian thing there is to do. I was raised to abide by a slew of beliefs that clearly formed a line between right and wrong. I was taught that the law of the Lord and the land (government) should be obeyed. I was raised to be a “good Christian”. But don’t misunderstand, I’m not about to say that being Christian is what keeps you from doing “wrong” things. I can tell you many things Christians do “wrong”. The point I’m trying to get across with this is that I was raised on a foundation, a belief system. And, in my opinion, a pretty good one at that. Like a house, a person built on weak foundations is easily swayed, easily influenced, and will easily fall. In this case, if a person doesn’t truly believe that taking another person’s life is something “wrong” then it doesn’t matter if they play video games because they’re already vulnerable to committing murder because they lack a strong foundation to think otherwise. It is not video games that predispose people to do acts of insanity; it is that person’s foundational beliefs. And that can only be built by a decent upbringing by people/parents who have the same foundation and a society that reinforces it. Video games have nothing to do with how I perceive things because my perceptions were already set long before I touched a game controller. And that is why I’m not some “ticking time bomb”. 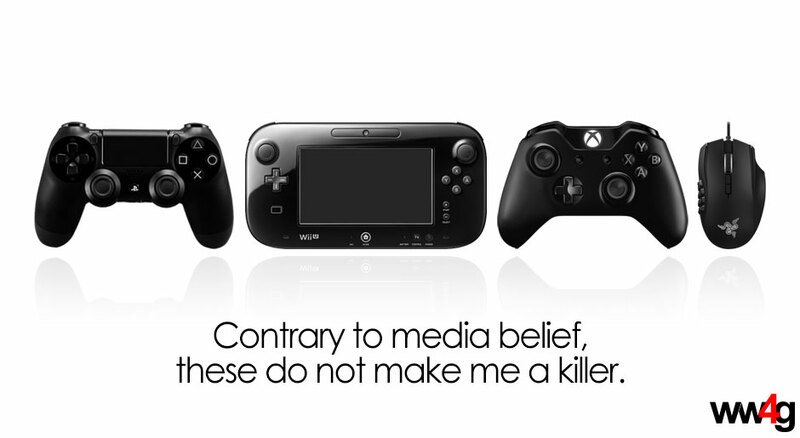 That’s why, against the media’s “better judgement”, I’m just a gamer, not a murderer.